Washington : A US military lab began the first of five early stage clinical trials to test the safety and ability of an investigational Zika purified inactivated vaccine. A total of 75 healthy adults will be recruited to participate in the trial at the Walter Reed Army Institute of Research (WRAIR) Clinical Trial Center in Maryland, Xinhua news agency reported. Given the concerns for immune enhancement with other similar flaviviruses, like yellow fever and Japanese Encephalitis, this vaccine will be tested in some volunteers who will first be vaccinated against one of these other flaviviruses, the WRAIR said in a statement. The study is expected to be completed by fall of 2018. 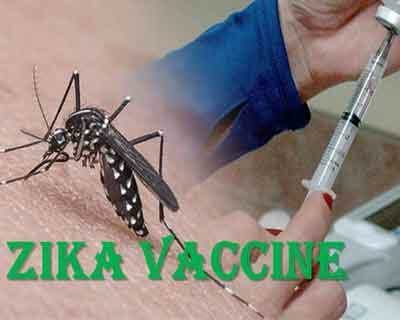 The vaccine in the trial contains whole Zika virus particles that have been inactivated, meaning that the virus cannot replicate and cause disease in humans. However, the protein shell of the inactivated virus remains intact so it can be recognised by the immune system and evoke an immune response. An earlier preclinical study found that rhesus monkeys that were vaccinated with the vaccine developed a strong immune response and were protected against two strains of Zika virus. WRAIR’s investigational Zika vaccine will also be included as a part of a US National Institutes of Health trial that began in August. The NIH study will test it as a boost vaccination to its DNA Zika vaccine, which entered Phase one clinical trials in August. That vaccine uses a small, circular piece of DNA, called a plasmid, that is injected into the arm muscle to induce an immune response. In addition, three other Phase one trials to evaluate the new Zika vaccine are scheduled to launch later this years in St. Louis University, Beth Israel Deaconess Medical Center, Ponce Health Sciences University in Puerto Rico, respectively.